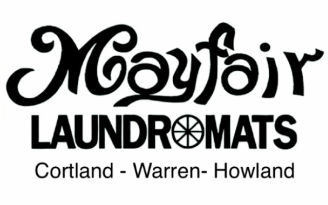 Mayfair laundromats are full service laundromats open 24 hours/ 365 days a year. We have 3 locations- Cortland, Warren and Howland. This facility is designed to make doing laundry a pleasure! 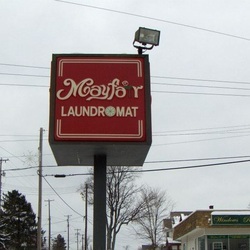 Mayfair Laundromat offers a comfortable, spacious and safe environment for all of your laundry needs. An attendant is on duty Monday- Friday 9:00 am - 3:00 pm.